If you manage employees in your office building, you can record important information with our employee forms. 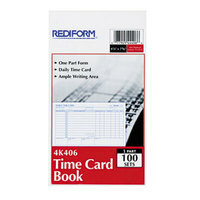 We carry time sheets, which staff members fill out and turn in at the end of the week or pay period. 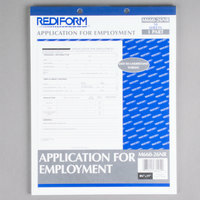 You can also find hiring forms that you can add to employee files after new workers fill them out. 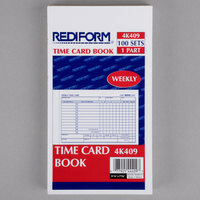 Also make sure to check out other great items from Rediform and TOPS. 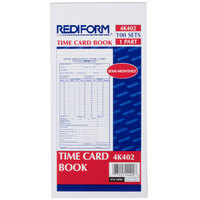 Keeping track of your employees’ hours is important, which is why we carry management and compliance forms. You can have your staff fill out time cards for your records, or you can use our hiring forms when you’re bringing in new employees. 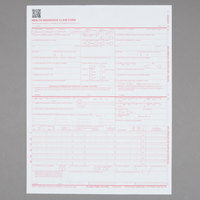 For more office products, check out our graph paper, printable certificate and award paper, and t-shirt transfer paper. If you're wondering where to buy employee management and compliance forms, we have a large selection of employee management and compliance forms for sale at the lowest prices.